In many ways we were sad to say goodbye to 2017, but there's already so much that we're looking forward to in 2018. Here are a few things that have us excited for the New Year. Enjoy! While some New Yorkers will wait out the last icy days of winter at tropical beaches abroad, I'll be escaping the winter doldrums by going to Marfa, Texas. I've wanted to visit Marfa since I saw the James Dean movie Giant (which also kickstarted my obsession with Dean), though the Marfa of today looks pretty different from when Dean was there. Some of the things I'm the most excited for are burrito trucks, desert drives to see Donald Judd's sculptures, and (hopefully) catching the Marfa Lights. A couple weeks ago Claire Boucher, aka Grimes, hinted at a new album in the new year. Her last album, Art Angels, came out in 2015, and its eclectic blend of "baroque pop, ambient, and electro-R&B" is, as the Guardian aptly put it, "by sounding a little like everything you've ever heard, the whole sounds like nothing you've ever heard." I often tell people that if I could trade lives with anyone for a year, it would be her, even if just to understand how she's able to create the music she does. At the recommendation of my amazing hair dresser, I started following the restoration of the Chateau Gudanes in southwestern France. After becoming an orphan and falling into disarray, the Chateau was purchased by a couple who are restoring it to its former glory -- with plenty of contemporary flourishes. Every week the owners share the most beautiful photos of the structure and property on Instagram, and I've fallen completely in love with the project and their aesthetics, not to mention the community they've built around the restoration. While photos of mist floating across gardens and ancient decorative tiles are a big draw, there's a blog that goes into even more detail about the Chateau's journey. In January, NYC's Met Museum is releasing an exhibition on the 19th century landscape painter Thomas Cole. Born in England, Cole is best-known for founding the Hudson River School, an art movement that romantically portrayed the American wilderness, especially in New York State. Cole's American-inspired art helped establish a group of American landscape painters whose work was on par with that of the European Romantic artists. Cole's dramatic paintings not only pull viewers into very detailed rustic scenes, but hint at a divine power to the American landscape that was then threatened by decline and desolation. As I write this, it's 9 degrees in NYC and as much as I love the cold and wearing giant sweaters, I'm starting to imagine what life without puffy coats will be like. Over the last couple months I stocked up an a couple pieces of clothing that I can't wait to wear in the spring. 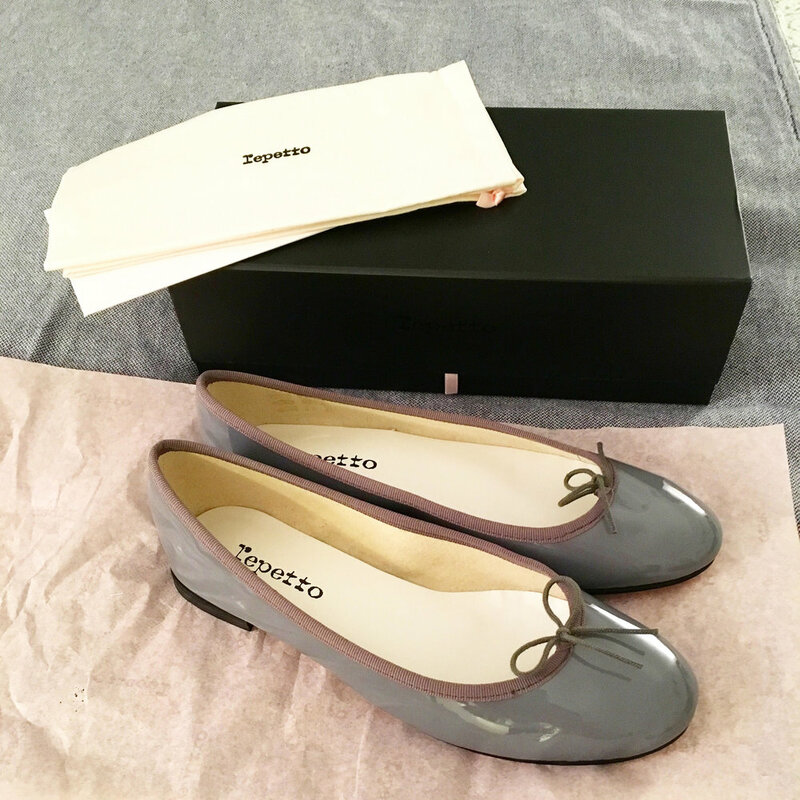 These include a new pair of Repetto flats in the most beautiful blue-grey, a whisp of a white skirt from Dosa (bought at their last ever sale), and light-weight waxed Belstaff jacket for rainy days (here's looking at you, April). With a set of wheels (somewhat) at my disposal, it's high time this New Yorker explores the rest of the East Coast. Potential destinations include the Brandywine River Museum in Pennsylvania, the Winterthur Museum in Delaware, and the Biltmore Estate in North Carolina. Cooking has gone from being a source of anxiety to one of my most rewarding hobbies. It feels empowering to be able to make my own high-quality, delicious food without being dependent on restaurant prices and unknown ingredients. On the horizon is Ina Garten's skillet-roasted lemon chicken from her newest cookbook, Cooking for Jeffrey. This April! 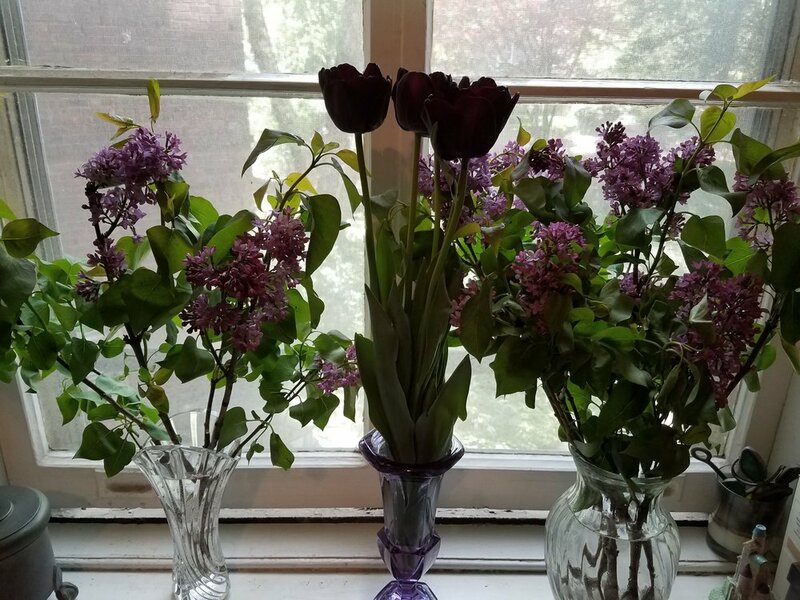 Black tulips all the way.